For Jewish people, Thanksgiving Day is eclipsed by the Festival of Sukkot, also known as the Festival of Booths or Tabernacles. Immediately following the High Holy Days, Sukkot is a time of thanksgiving and joy. 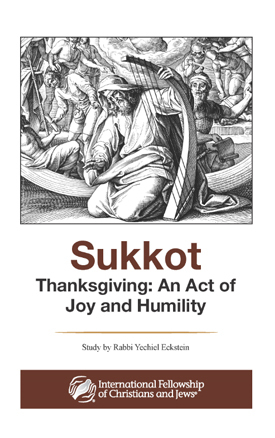 Download your free study and learn the connection between the Jewish holiday Sukkot and the act of giving thanks.